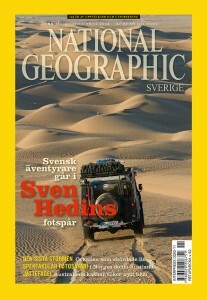 Sven Hedin (1865 – 1952) was a Swedish explorer and geographer that devoted his life to exploring Central Asia and Tibet. He spent almost 20 years in Asia, mapping such a large unexplored territory that it has never been paralleled in history. 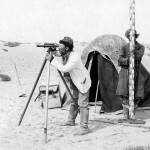 The purpose of the Sven Hedin Project is to make a series of five expeditions following the footsteps of Hedin, covering his expeditions to Persia, Central Asia and Tibet 1886 – 1908. 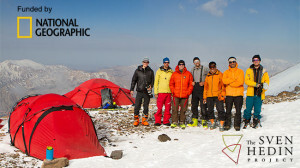 The plan is to make one expedition every second year, starting with Iran in 2013. Our objective is to travel in the footsteps of Hedin, with the help of his maps, diaries and photographs, and follow up on his geographical and ethnographical observations as well as repeating some of his most spectacular adventures. Like Hedin did we will capture the landscape, villages and towns we travel through and the people we meet, but with digital photography and videography. The expedition will take a month and cover parts of the routes from all three of Hedin’s journeys through Iran. 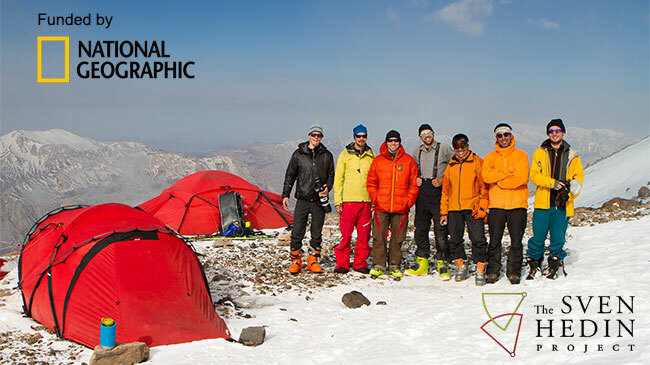 Starting in Tehran we will make a ski ascent of Mount Damāvand (5 671 meter), the highest peak in the Middle East. Hedin ascended successfully and wrote his doctoral thesis on Damāvand. 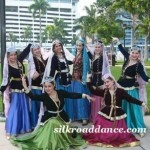 We will follow his route south to Isfahan and then travel northeast to cross Dasht-e Kavir, the central desert of Iran. *Ascent of Muztagh Ata (7546 meters) in Xinjiang, China (Hedin attempted an ascent in 1894). *Crossing of the Taklamakan desert in Xinjiang (Hedin almost perished here in 1895, but later found the ancient city of Loulan, featured in National Geographic Magazine in November 1901). *Crossing of the Changtang plateau in Tibet (Hedin claimed the discovery of the mountain range Transhimalaya). *Trekking to the sources of the four great Indian rivers that originates from Mount Kailash in Tibet (Hedin located the sources of Brahmaputra and Indus). Hedin’s collection of approximately over 10 000 photographs has been buried for over a hundred years in the archives of the Museum of Ethnography in Stockholm. The large undertaking of digitizing these old glass plates have only just begun and we will be the first to access this unique material. We will search for the exact locations, where Hedin’s photographs were taken, in order to capture new images that precisely match the old ones. 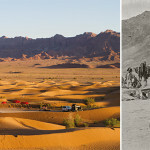 This lets us visually document the changes of these areas during the last century. 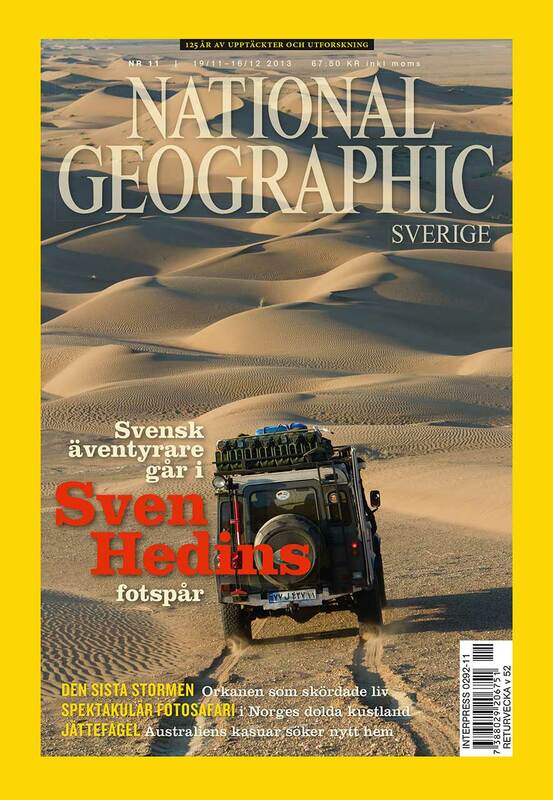 Sven Hedin’s life as an explorer is one of the greatest adventure stories of all time. 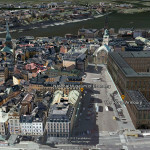 We will convey our results and Hedin’s story to the public in a groundbreaking new way, with interactive and geographically oriented media powered by Google Earth that will set a new standard for virtual exploration of historical and modern adventures. The heart of our media strategy will be the expedition web site that will be updated and promoted with social media, throughout the five year project. 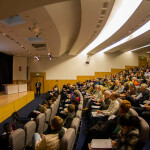 We will also use traditional popular media formats such as written articles, video and public speaking.